There aren’t as many things that go into the process of creating content that is destined to go viral and put your website on the go-to map than you’d think. I’m not talking about a short blog post that rehashes the same old information that the majority of bloggers are throwing around repeatedly out there; I’m talking about a post that people in the network marketing and IM niche would fall over each other to link to and share. So how does one go about creating content that would boost your social share rates and garner more followers and subscribers? It’s often been said that 80% of people will read your headline, but only 20% of them will actually read your article. So how do you beat the odds? Simply enough you concentrate on the headline first and foremost, and follow it up with content that delivers what the headline promised. Challenge a popular belief – Traditional network marketers aren’t any better at communication than online network marketers. Ask a question – Why do certain people make it in offline marketing and others don’t? You can check the quality of your headlines and analyze its effects on readers by using this free analytics service. The headline is the gateway to your content. You don’t want to write an awesome post about curing frustration and overwhelm in 3 simple steps and have it ignored by people you are targeting. That’s got to be the greatest post that no one’s ever read! As for the content, the quality must be proportional to the promise that your headline made. Better if you over-deliver on that promise to be honest. You don’t want to be promising a complete guide on how to get 1st page rankings and dish out generic pointers that your reader could have found anywhere else on the web. Make the “meat” of your post count. I’ll get into that a bit later on. So what does the 80/20 rule have to do with getting more links and followers? How are you going to get the shares and links if no one has read your content to begin with? People have to like something to share and link to it. So get readers through the gate with a relevant and curiosity invoking headline, and make them read your entire article by utilizing great body copy. How Comfortable Are You About Blogging Naked? One of the best things you can do when building your business through a blog is being transparent. So what does being transparent mean? I don’t mean being invisible like Kevin Bacon in Hollow Man. I mean letting your readers know who you are, your quirks, and what you are passionate about through your writing. Easier said than done I know. It takes practice but it’s so worth it. It’s normal to get scared of what others might think of you, of being judged, or whether your opinion about something will cause a massive landslide of hate mail. Also being transparent with your blogging makes it easier and fun to write. You just write whatever comes to mind and more often than not, it’s better than if you try to sound “professional” . Why am I bringing up transparent blogging? You want to be relateable to your audience. There is no easier way to connect with your potential customers and team members than by letting them come to you because they want to do business with you. I go into more detail about attraction marketing here. There are a lot of article out there that teach online marketing and network marketing principles but how many of them have life in them? An actual human voice? Zest and attitude? Make a big splash by showing your personality through your writing. You could be talking about the most boring topic in the world, like coffee cups, and still make it interesting if you know how to use your own voice and ask the right questions in your blog post. No matter what the topic of your content is, whether it is mindset development, prospecting or technical tutorials, you have the ability to make it fun and enjoyable to digest by joking around, being yourself and conversing with your audience like you would a friend. You’re not trying to appeal to English literature graduates so keep it cool, casual and fun. As for the actual nature of the content, don’t rehash generic pointers. You want to go into depth and detail about a particular topic. Elaborate and give your own personal insights in the article. Granted your post might be a little longer but the topic of this article is how you can get more links and shares, so do what others aren’t willing to: offer a tremendous amount of value in your posts and make it entertaining as well. You’re not a book. It’s fine to be factual and informative but it’s even better when you entertain people while they are learning at the same time. … use a pretty darn good headline (gateway remember? ), follow through with amazing body copy and content, and inject your words with your own zest and personality. Simple and that’s the way it should be. 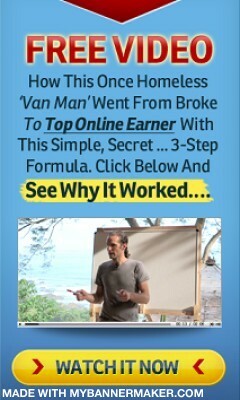 The best thing you can do when building a home business online is keeping it simple. There’s so much crap out there that is making the process more confusing and overwhelming than it needs to be, so just focus on these, be consistent with it and you will be fine. You are capable of more than you know and the world wants to hear your voice, so start writing and give the world what it wants. Since you’ve read this far, I’d appreciate it if you shared this post around if you got some value out of it. If you know of other methods to attract links and shares, drop it in the comments section below. P.S. 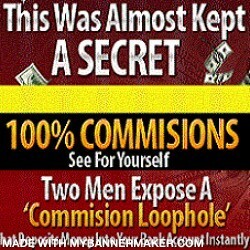 If you want to learn more about how to make 100% commissions blogging click here or the banner below to find out more.